Now that summer is here, I wanted to make sure my bedroom was summer-ready. 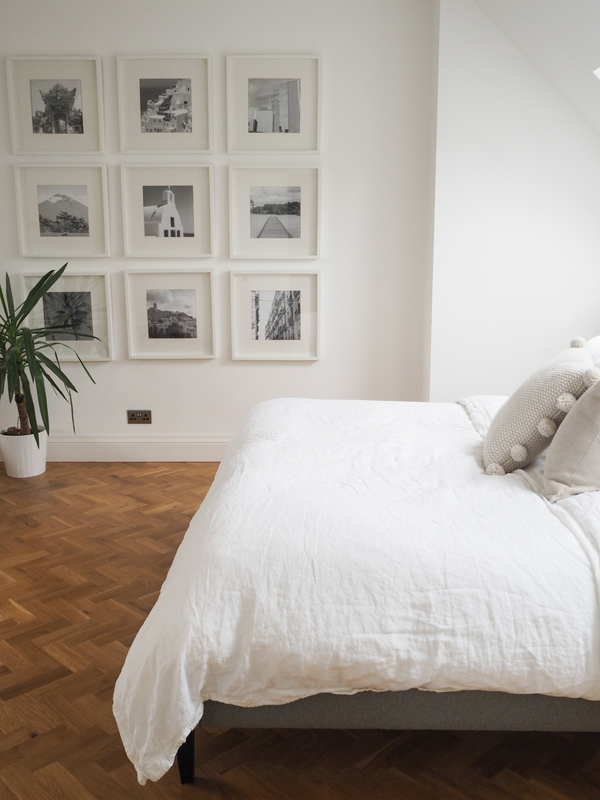 Having a space that is calm and cool is really important to both Will and I as we need to be able to quickly relax and get to sleep once it is bedtime – which too often is later than we’d really like. I’ve purposely kept the decoration in our room very simple and plain for the exact reason but I like to change things up a little with the seasons, not only visually but so the room works practically too. 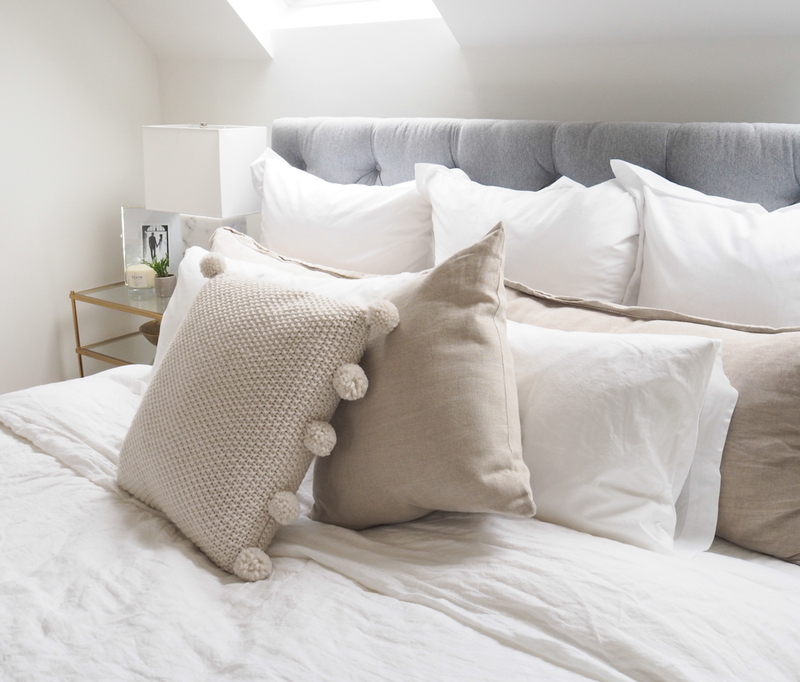 Working with intu Derby to showcase the shopping centre as a great place for interiors lovers like me (read more about our partnership here) was the perfect opportunity to give my bedroom a little summer refresh. There are a number of stores in the centre that are perfect if you want to refresh your home a little, or even give it a complete overhaul. I loved that everything was so close to one another and I didn’t need to walk for miles, or even go outside to get the the stores I wanted. 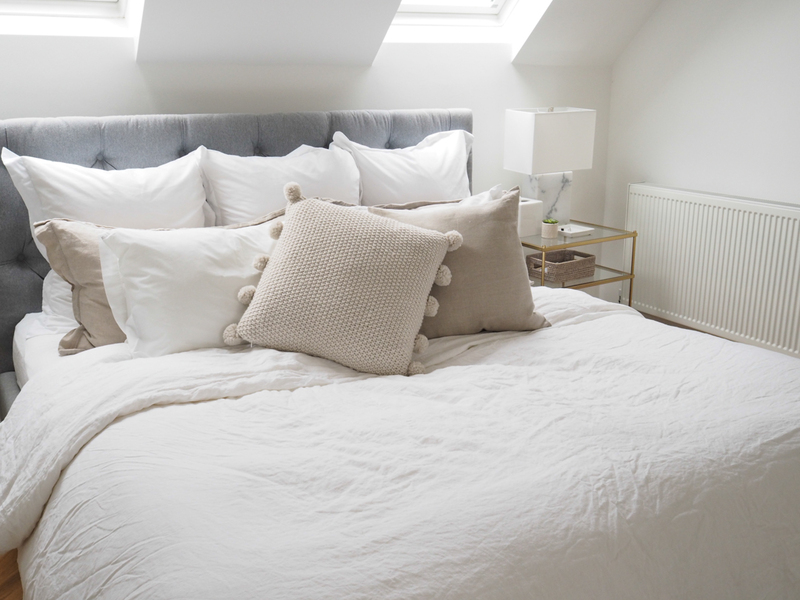 I made a beeline for Marks and Spencer’s and Next as they both have large homeware sections in the centre and I knew I would be able to get everything I needed to give my bedroom a seasonal refresh. 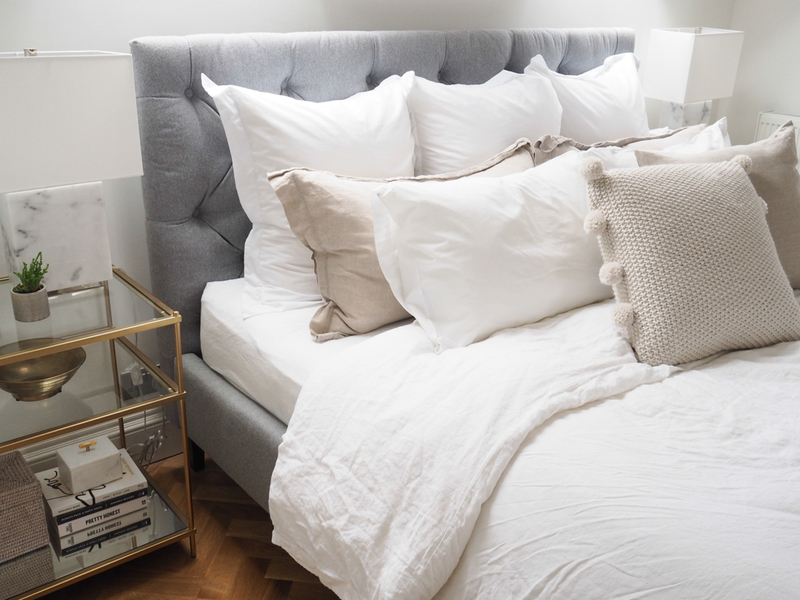 For summer, fresh bedding, new sheets, cushions and mixing up our bedside table decoration makes it feel like a whole new space and keeps it comfortable for those sticky nights. First up I headed to Next Home for a new summer appropriate duvet. I love our deliciously heavy feather and down duvet for winter but need a lighter, more cooling one for the summer months. If Will had his way we would have swapped it in February but I like to leave it until it really has started to warm up! There was a great range and I went for a 4.5 tog that keeps you cool. I was pretty excited for new bedding. I have been eyeing up linen bedding for a couple of years but not been able to commit as it is generally so pricey however when I saw that Marks and Spencer’s had a new 100% linen range I couldn’t resist. They have it in quite a few different colours and I went for a white duvet cover and bottom sheets but picked out a neutral colour for the pillow cases to mix things up a bit. I absolutely love the way linen is all crumpled and inviting! I know it would drive some people crazy wanting to iron it but I am not a bed cover ironer so it is perfect for me! It is also wonderfully cooling for the summer. 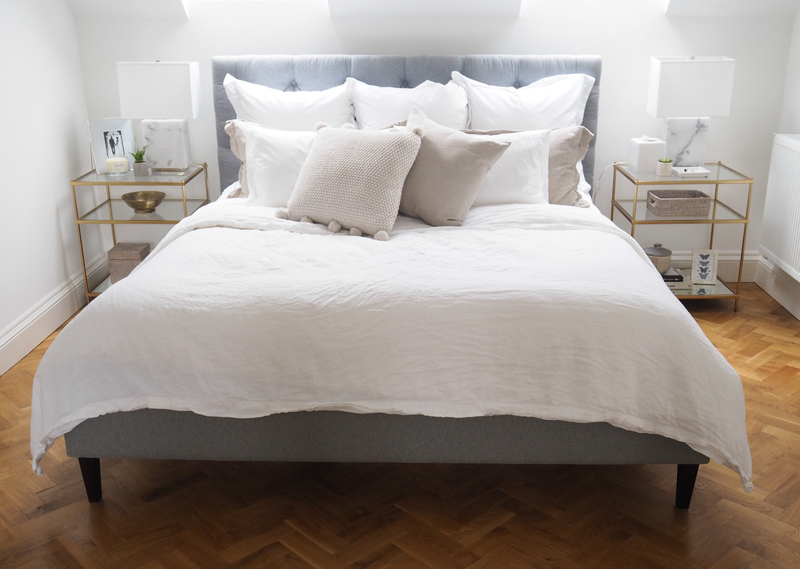 I love layering up a bed – it might be my show home styling training from work – but I think it makes it look very inviting and cosy. 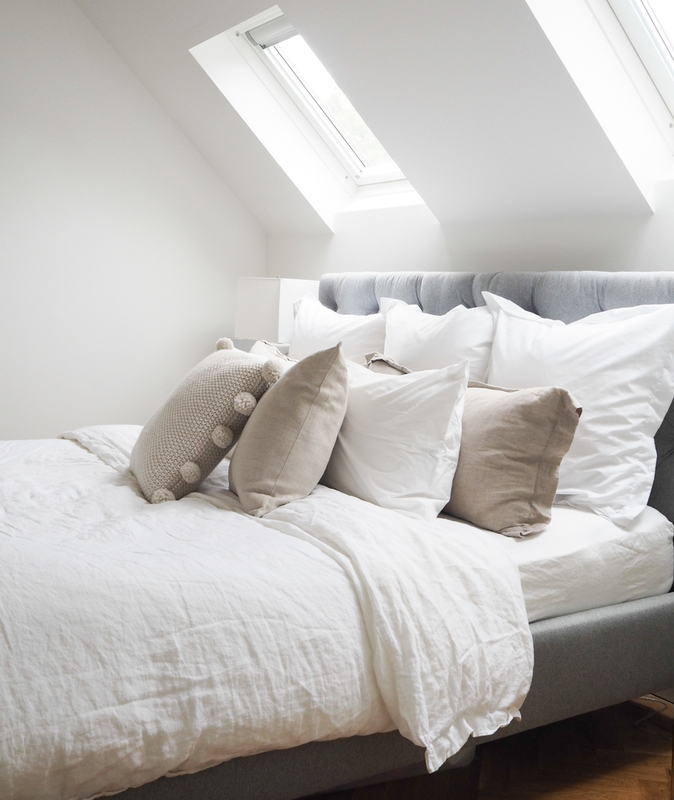 I have layered different sized pillows – using large square ones at the back which are great whilst sitting up in bed reading or sipping a coffee on a weekend morning, and then super king size pillows followed by regular ones. A few mix and match cushions finishes it off perfectly. A couple of easy-care plants from Next (I didn’t realise they did live plants until I visited the centre) and a restyle of the bedside tables is all it takes to finish it off and make it feel like a new room altogether! 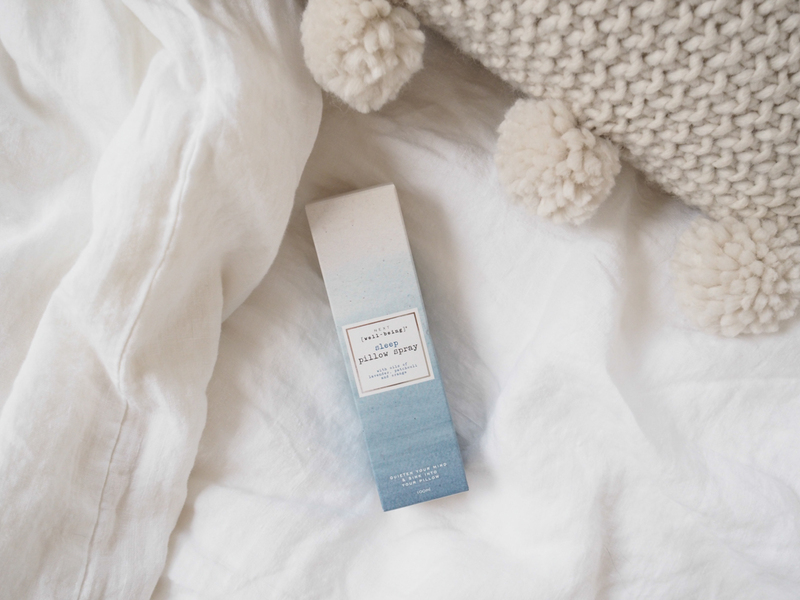 Not to mention a little pillow spray to help us nod off with ease. 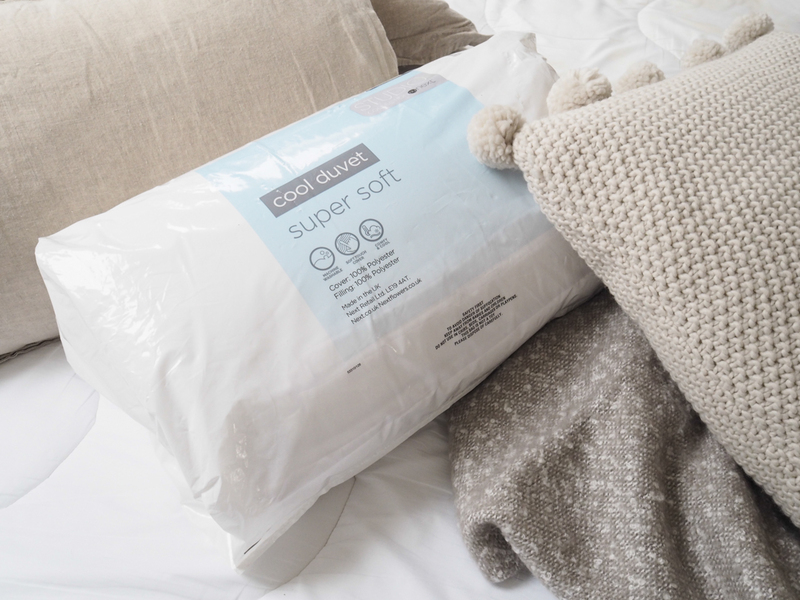 I love a big, fluffy heavy feather and down duvet for most of the year but switch it out for a lighter option in the summer months so I don’t get too hot. A 4.5 tog is perfect for when it is warm and you can also get options now that are made from cooling fibres that help regulate your body temperature during the night. Top tip – go in store to buy your duvet. You can feel the different options and make a better choice than taking a punt ordering online – duvets are really personal and it pays to get it right. I love new sheets so a change of season is the perfect opportunity for me. Linen has that beautifully lived in a rumpled look (great if you don’t iron your bedsheets like me) but cottons are also lovely. Buy the best you can afford – they get better with every wash and will last you years to come. 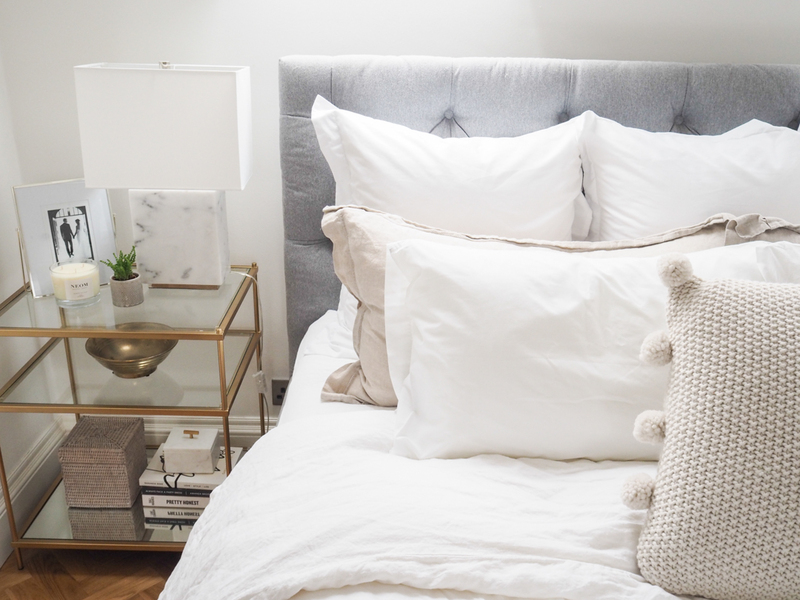 White sheets are my favourite and my go-to, and I always think it looks great in the summer. 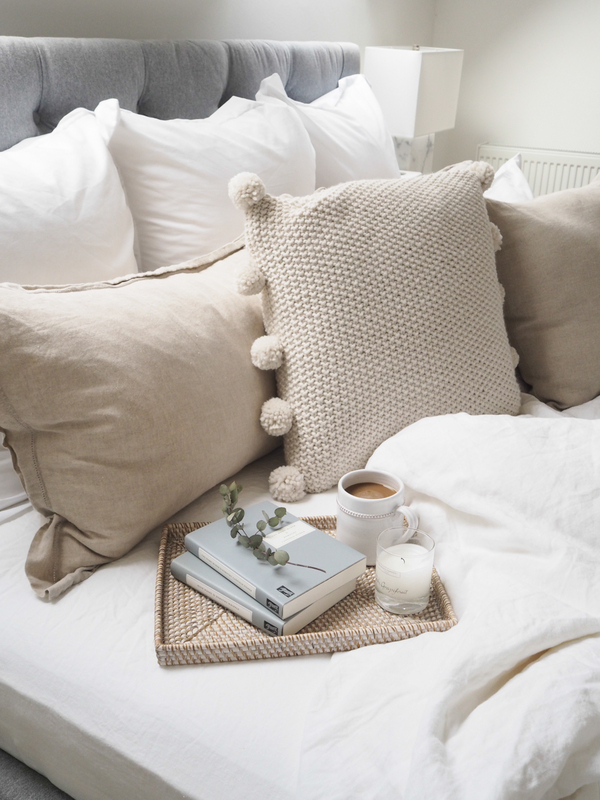 I normally accent my white sheets with grey and charcoal however for summer I have picked warmer neutrals and I loved the relaxed summer vibes they have. New throws and pillows can give your room a whole new feel and you can have fun with different textures in the summer. Try mixing wool with linen. I wandered around M&S with piles in my hand choosing which went with which – it was so much fun and I kew they would look great once I got them home. Adding plants is my tip for almost everything, but a bit of greenery looks great on a bedside table during the summer months! I love that Next now sell live plants in store – it saves an extra trip to the garden centre. 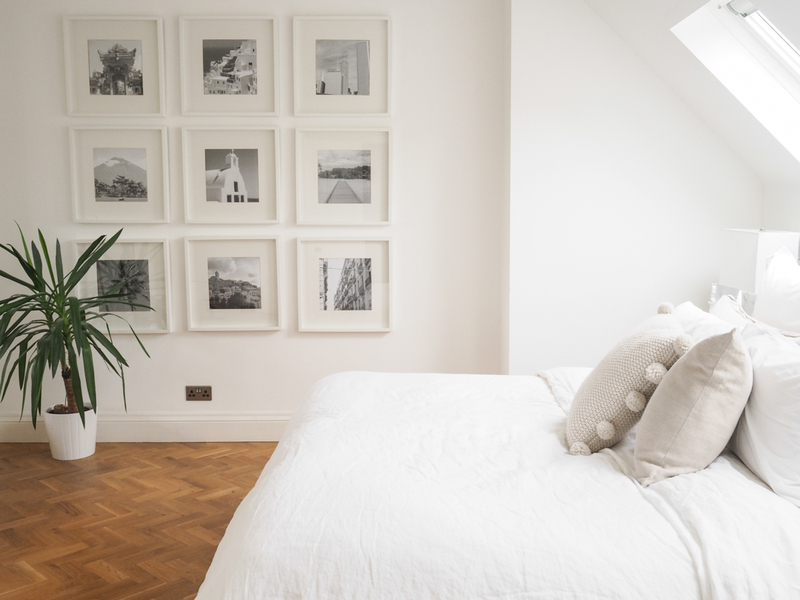 Will you be getting your bedroom ready for summer? This post was created in collaboration with intu Derby but as always, I only partner with brands I love. Everything looks better then perfect. Duvets are nice.